St Mawgan-based Taylor Design & Play has expanded its range of play equipment for 2012. 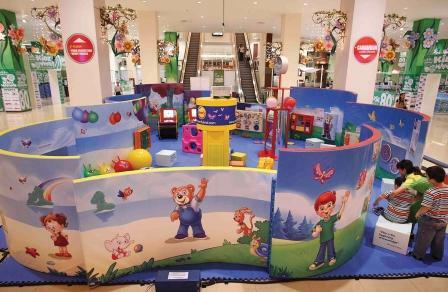 The new products include a portable crazy golf game, a motorsports themed play area and an educational toddlers play zone. The play equipment firm unveiled the new products at an international exhibition and has already attracted interest from around the world. “We see ourselves as a friendly, business-centred organisation that offers innovative solutions to all types of clients,” said former dairy farmer David Taylor, who set the company up in 1982. Taylor Design & Play has also become the sole UK distributor for the ComfyLand Experience, an educational play area for toddlers. In addition to being at the forefront of the farm park industry in the UK, Taylor Design & Play works closely with theme parks, holiday parks, visitor attractions, schools, councils and crèches. Over the last ten years, the company has also been building its overseas market and is now the preferred global supplier of indoor play to the Shangri-La Hotel Group.